If you’re facing foreclosure, you know that it is a frightening concept for any homeowner. You’re stressed out because you can’t make your mortgage payments, plus you’re afraid of losing your home. Add to those issues the countless websites and companies making all kinds of predictions or promises, and you probably don’t know where to turn. 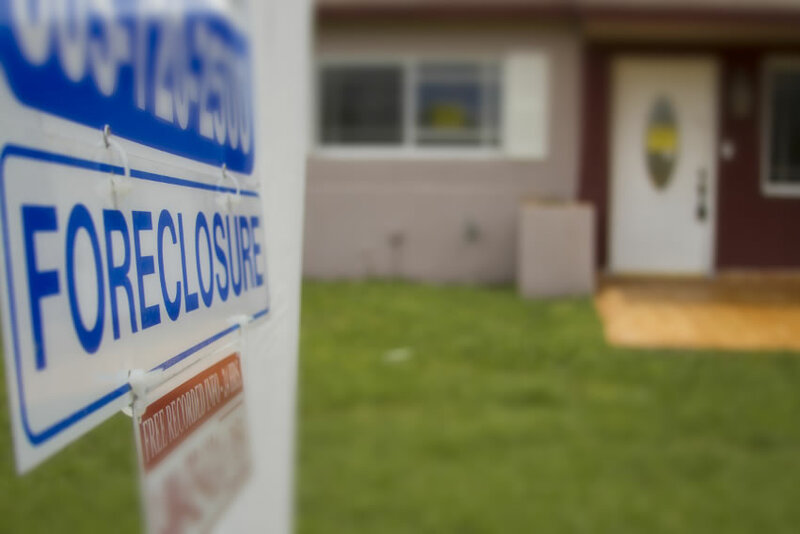 To help clarify the foreclosure process, we’ve compiled the top nine myths and misconceptions you might hear about how to avoid the foreclosure process. Once you have all the correct information, you can then make an educated decision about what your next steps should be. A typical attitude is that homeowners who are going through foreclosure weren’t responsible with their money. The truth is that a foreclosure can happen to anyone at any time. While being responsible can help you manage your finances, it can’t stop a job loss, illness or any other major catastrophe that changes your life. Many people believe that they are working with their lender to stop foreclosure, but in actuality, the bank tries to avoid it just as much. They’re seldom able to get all of the money owed if they have to sell a foreclosed property, and the process itself is lengthy and expensive. If you understand this fact, you’ll be less likely to avoid the lender, and instead turn to them for help. It’s common for a homeowner to look at the idea of a short sale when they are near or in the process of foreclosure. However, many believe they can’t get enough money for the home to get the bank to agree to the short sale. The fact behind this myth is that you often can get a good price for your home, especially if you’ve been good with its upkeep. Just because you plan on selling it through a short sale doesn’t mean you’re going to get low offers. In fact, most banks will deny a short sale if the offer isn’t close to the value of the home. Most people assume they’d be turned down for refinancing if they’re in foreclosure and behind on payments. While your credit does come into play for refinancing and late payments can hurt your credit rating, you may be able to qualify if you have equity in your home. You may not find the right lender right away, but if you keep looking, you could very well find one willing to work with you. Bankruptcy may be the only way you can save your home depending on your situation. There are two kinds. A Chapter 7 bankruptcy temporarily stops the foreclosure process. You’ll have to take action, but the bankruptcy could remove enough other bills so that you can afford to make your mortgage payments and work with your lender again. A Chapter 13 bankruptcy permanently stops the foreclosure process as long as you make all of your payments on time. At some point, it will be too late to stop a foreclosure, but it’s not as soon as you think. You can seek out help even after the process has begun. One possible solution is to pay off all of the money that is owed on the mortgage. Alternatively, you could try to get a new loan to pay off the old one. You also have the option of applying for a loan modification, which would reduce your payments and allow you to start from now on your new payments. All of these are options even after the foreclosure is underway. A common myth many homeowners believe is that they are finished with their mortgage and lender once they’ve lost the home. In reality, the bank sells the house for as much money as possible to recover the losses from the mortgage. In the event that the house sells for less than what is owed, the homeowner is still responsible for the difference. Another issue occurs if you attempt to take anything attached to the house. Some owners choose to sell everything in the house to help them start over, including the light fixtures, cabinets, and even the kitchen sink. If the bank expects something to be in the home and it isn’t, you could be in trouble. When you get the notice of foreclosure from the bank, you may feel panicked. The tone of the letter is meant to scare you, so you understand the urgency of the situation. The truth is that the entire process can take over a year or even two before you are forced out of the home. During this time, you should focus on trying to save your home by applying for a loan modification or some other type of help. If that doesn’t work, try to save up money to rent a place by the time a foreclosure if completed. Many people think that a foreclosure stays on their record forever, and no lender will ever give them a chance again. While a foreclosure does hurt your ability to borrow for a few years, you will, in fact, be able to get credit again and even buy a home one day. The foreclosure comes off your credit report in seven years and stops affecting your credit score before then. With so many myths about foreclosure running rampant on the internet, it can be confusing for a homeowner. You might receive a lot of advice on what to do, but it’s not always correct or in your best interest. You may end up ignoring much of the information you find and instead talk to your lender or an attorney who can help you make the right decisions for your situation. In the meantime, this list gives you a high starting point to understand your rights when it comes to the foreclosure process. The next time you see or hear one of these myths, you’ll know the truth. Don’t let misinformation keep you from saving your home.